Eric Harris set up OlderView because he believes older people need to be involved in the design of technology from the very start to break down their exclusion from the digital revolution. 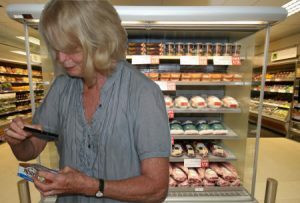 OlderView was established up in Autumn 2012 specifically to look into these issues with the involvement of a community of older people who answer surveys about particular technologies. The subsequent results submitted by the Technology Review Community are analysed and then published. Eric explains further in this guest post. The pace of technological development continues to increase relentlessly, giving rise to almost unimaginable possibilities for ‘helping’ us get through the day in one piece. Who would of thought at the turn of last century that within ten years or so we would all be ‘skyping’ our families in Jamaica, Australia or Barnsley; paying for our shopping at the local supermarket using automated check-out tills and sharing photos with our friends on Facebook? Well we (older people) don’t! Although there are some well-publicised exceptions to this, such as Lilly the 108 year old on Facebook and Twitter or Peter (Geriatric1927) on YouTube, there is a greater body of older people who are at best ambivalent, and at worst stubbornly against, the uptake of new and emerging technologies. The older the age group, the less likely they are to be an active part of the digital revolution. This is a problem in so many ways that it leads to digital exclusion in its broadest sense. It has an impact on engagement with all sorts of technologies both at home (can’t pay heating bills through not being online) and in the environment (not being able to use car music system through not having an iTunes account). The reasons for this are complex and diverse; touching on social, economic and accessibility agendas. However the OlderView position is that ‘Design is Critical’. By design we don’t just mean what a thing looks, feels and functions like (although this is very important), we mean the complete design process. For example when a new phone is designed, why not ask older people what they want from their phone; which features are meaningful for them and which are not? In a wider context this is already happening: technology providers are increasingly using a participatory design (P.D.) approach to help technologies ‘better fit’ their target markets. They involve groups of people in their target demographic to help inform the design. Part of this design process is to understand the User Experience (U.X.) and feed the outcome of this process to their hardware and software design departments. This used to be called marketing. The problem is that the target demographic for a lot of new technology is 20 to 30 year olds. [e1] They are seen as early adopters of new technologies, and are willingly available for focused group studies. The designers of new and emerging technologies are typically from this demographic themselves, so speak their language and readily understand their needs and wants. On the other hand engagement with the older community is a little more challenging. Older peoples’ lives are long-lived and complex; their social economic footprint is probably changing or has changed and there is a likelihood of accessibility issues. 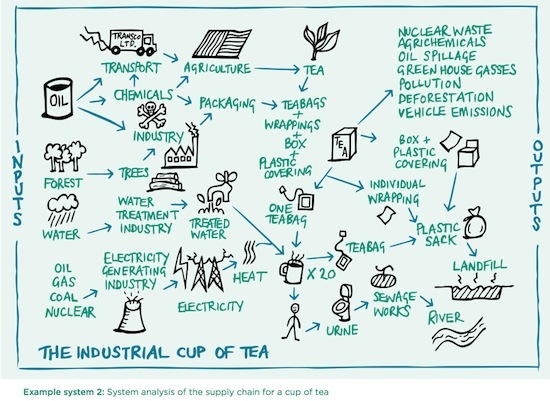 However, if the design of new and emerging products and services are to ‘work’ for this age group, active engagement in a participatory design process by this community is imperative. It is with this context of user-centered design that OlderView was created in the Autumn of 2012. OlderView has a community of older people called rather unimaginatively the Technology Review Community, who every month or so answer a survey questionnaire about a particular technology. The results are then collected, analysed and published. We are of course aware of the skew to our results from engaging with predominantly older people who use computers to do our surveys, which one might argue further supports the position that the older community are often digitally excluded . Where we can, we collect responses that are recorded on paper as well as some that are mediated through third parties such as care workers. It is to be noted that OlderView believes there is work to be done here, with engaging the digitally excluded and recording their concerns and opinions. Some of the technologies we’ve reviewed have been: camera phones, self-checkouts and online brain training pastimes. We are particularly interested in how our community deals with these sorts of technologies. Is the technology used? Is it liked? What would the community change if it could about the technology? We have found that older people, rather than having luddite attitudes towards technology, are quick to see its potential benefit and wanting to do stuff with it. They would be only too happy to video conference their relatives, share their interests on chat sites with others or book their next doctor’s appointment online. So where do the problems lie which leads for some older people to total digital exclusion and for others partial engagement? The answer to this question is not to be found solely in design; social, economic and accessibility factors are just as important. However, there are some significant barriers to the uptake of new and emerging technologies by the older community which can be squarely placed on the doorstep of poor design. Although there were issues with completing this task, a large section of the community said that they used their camera phones in one way or another frequently. This community clearly has a desire to take photos with their phones and see the benefit in doing so. Sometime after the initial survey and whilst at a local computer ‘drop-in’ centre, I showed some of the centre members an ‘app’ that utilised the camera by changing the phone into a magnifying glass. This was of great interest to the members that I spoke to, since they could see the potential usefulness of it for times when they had perhaps forgotten their reading glasses, or had brought the wrong glasses with them. However, the setup instructions to download the app, together with the various caveats about connectivity, cost and security proved one hurdle too many for most of the people I have discussed this app with, both in the centre and in other places. The download and configuration time for so much new I.T. is in itself an almost impenetrable barrier for older people, who often have to rely on friends in the know or family members to steer them through the maze of ‘helpful’ options. As one member said of supermarket automated checkouts. 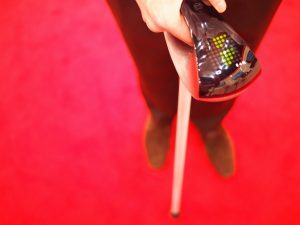 This has got to be Fujitsu’s ‘smart walking stick’, which is specifically designed to help the elderly. This walking stick is Wi-Fi enabled and has an LED display on the handle to help elderly people find their way. There is a bunch of other stuff that the walking stick can do as well, such as monitoring heart rate and temperature, all of which could be beneficial for older people. Although this sort of embedded technology can get a little ‘gadgety’ and suffer from over complication, its sympathetic design is to be applauded. What we like the most about this is that Fujitsu is clearly doing some user experience work with older people. This mobile computing device (a simple walking stick) reflects older people’s needs and is sensitive to their daily routines. I think the icing on the cake would be some level of customisation for its look and feel, as the choice of walking stick for older people can be very personal. The design of technology for older people has for far too long been reactionary or an afterthought which modifies or tweaks products to better fit their needs. If we are to prevent technology exclusion of this demographic both now and in the future, older people need to be involved in the design of technology from the very start. We need to have proactive design choices for and by older people. Technology companies that understand this will undoubtedly reap the rewards and we will end up with better designed technologies. Here’s a summary and update on our exploration for Nominet Trust into how we can use digital technologies to prepare for and enjoy later life. It is prompted in part by nonprofit tech specialist Norman Reiss posting the key points, together with links to US initiatives including SeniorPlanet. Thanks Noman, and to Amy Sample Ward for the intro. I hope this opens the way to further exchanges. There’s some ideas on next steps in here as well. The draft. The near-final draft of the report that we created, through an open process, is available here as a commentable document. I’ve copied the 10 key points below. The brief was to develop guidance on where to focus investment and project development in the field – rather than provide a hands-on guide to how to use technology and devices. That’s definitely needed too, as I explain later. Reference. There’s a set of reference materials in Storify linked to each of the key points, themes, and the research background. The process. During the open process – summarised here – we reviewed research, created an open document to gather first ideas, ran a workshop, set up an online space to gather and discuss more ideas, and collaborated with Gransnet on a forum. An online learning space. You can view and join the online space at the Social Learning Network. Online innovations and social care. During the exploration, Nominet Trust published a paper by Shirley Ayres on Can online innovations enhance social care? – to which the answer is definitely yes. There’s a wealth of examples, with a recommendation for a Community Wellbeing and Social Technology Innovation Hub which brings together all the organisations funding, researching and promoting digital technology innovations and pilots across the wider care sector. Sharing. 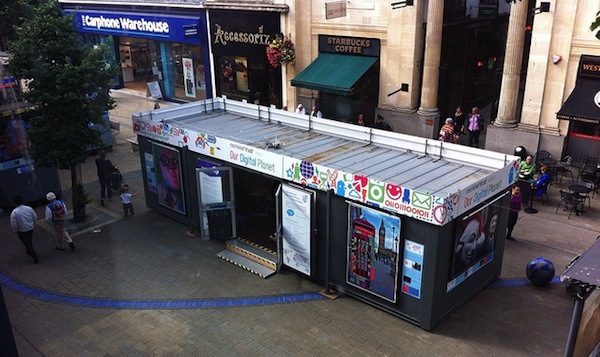 I explored the proposal for a hub in a blog post on How more sharing could enhance social innovation including reference to Steve Dale’s ideas for social ecologies, and the possibility of Nominet Trust, NESTA and Big Lottery Fund getting together. The scope for collaboration became more evident with NESTA’s announcement of a Living map of ageing innovators, followed by news from Cabinet Office that Big Lottery Fund would be setting up a Centre for Ageing Better. Making innovations useful. In a post We know lots about innovation, digital tech, social care and later life. Now who will make it useful? I suggested that while the various centres, and proposals for knowledge sharing were welcome, this was conceived mostly at the level of policy and larger projects. What we also needed was work to translate findings into advice and applications directly useful later in life, and also work to bring new and existing useful tech together in guides for older people and carers. Much of it would be useful to anyone – whatever their age. Join up innovations. This exploration, and Shirley Ayres’ paper Can online innovations enhance social care?, have brought home how important it is to develop solutions that work together within organisations, across disciplines, and that are designed for the whole person. I wrote that NESTA provides a framework for innovation towards a better later life in reviewing several pieces of work from the innovation agency: the Living map of innovation projects, mentioned earlier, an earlier report on Systemic Innovation, and Halima Khan’s report entitled Five hours a day. The five hours a day refers to the equivalent extra time added on to the end of our lives through increasing lifespans. Mapping innovation to people’s lives. In How to organise ideas about digital tech in later life: invent some characters and tell their stories I suggest that a good way to show what technologies may be most relevant in different circumstances is to create some fictional characters, tell their stories, and then map what’s available on to these narratives. It is something we piloted in the workshop. Develop an online store or market place of useful tech stuff for later in life – sites, apps, methods, guides that people and carers can use for wellbeing and amelioration. This would contribute to the wider digital inclusion policies promoted by government, and organisations like GO ON UK, UK Online Centres, and Digital Unite – who already have some guides. Maybe there’s scope here for sharing with US and other initiatives globally. Create a community of practice around digital tech in later life. We have made a start with the group at the Social Learning Network, and could do a lot more. What I do feel strongly is that development should focus on what’s useful to individuals, and anyone providing support: whether friends, family or care services. Both our team and Shirley Ayres found scores of research reports and initiatives that attract quite high levels of funding but appear to overlap quite substantially. We are now going to see further developments by innovation and funding agencies. There is a need to curate and make accessible the work they are doing … but one of the best ways of ensuring that it is actually useful is to take a human-centred approach as we have suggested above. Currently the ratio of research reports, and funding, to useful guides and support is weighted hugely towards the professionals and not the front line … whether on the sofa or in the care home. Do please add your thoughts in a comment, join us in the group at the Social Learning Network, or email me directly david@socialreporter.com. I’ll update on further developments as they emerge. Here’s the slightly belated news that Nominet Trust recently announced funding of more than £1 million for the first round of projects under the Digital Edge programme. You can see the background provocation paper here that helped inform the programme, written by socialreporters, Tim Davies, Alex Farrow and me. Some terrific projects are under way, bearing out the innovative ideas we discovered during our exploration. There’s now another call for proposals, which you can see here. Following an unprecedented number of applications, the Trust has awarded 14 organisations more than £1 million to support their work in using technology to improve young people’s participation in society. With close to a million young people unemployed and prospects for full time employment bleak, internships and other low-paid work placements have become a vital way to boost employment prospects. But expensive rent or travel costs often prevent young people from taking advantage of such opportunities. Room for Tea, one of the 14 organisations receiving funding, connects guests in need of short-term, affordable accommodation in London with hosts who have a spare room in their homes. This project has the potential to benefit young jobseekers while also reducing the social isolation often felt by older people living on their own. Nominet Trust investment will enable Room for Tea to develop its online platform and expand its reach to a wider number of potential young beneficiaries. Catch22 is another organisation that has been approved for funding. Their project comprises an app that encourages young people to make a positive contribution to their community – such as keeping their neighbourhood clean – and in the process helps them to discover and develop the soft skills and confidence needed when applying for a job. Annika Small, Nominet Trust CEO, commented: “Digital technology offers new ways for young people to develop and demonstrate their skills and talents. Importantly it can help young people to connect with the wider community, whether that is active participation in their local neighbourhood or contributing to an online group. This in turn can boost their skills and confidence which will help when it comes to applying for a job. More here about the Digital Edge programme, and how to apply in the next round. Socialreporters current exploration into digital technology in later life. Is age really an issue in later life? Annika Small, chief executive of the Nominet Trust, posted these reflections on their site following the workshop we ran on October 23 as part of our exploration into using digital technology later in life. We are still analysing the workshop output – but meanwhile you can see the rich content we generated here. As part of its ongoing open consultation, Nominet Trust brought together a group of experts this past week to think about how technology might be used to realise new opportunities – and address the persistent challenges such as social isolation, access to adequate care and pensioner poverty – facing people in later life. We weren’t looking at how adding digital might make existing services more cost-effective or efficient; nor were we seeking specific solutions. Instead we were hoping to define some areas that would benefit from social innovation with technology. Under the guidance of social reporter guru, David Wilcox, and his colleagues Drew Mackie and Steve Dale, small groups developed some propositions and tested these against fictional characters that they had created (one group is a good bet for next year’s Booker, given the intricate and compelling plot that they created around their protagonist). From these discussions, some key themes began to emerge. What struck me from these themes is how irrelevant age is. So many of the issues – and how we might address them with technology – are the same, irrespective of whether you are 12, 22, 52 or 82. The circumstances may be different but the issues are very similar. Take ‘transitions’, which has emerged as a key theme throughout our consultation. There is no doubt that people in later life are often faced with multiple transitions whether it is a result of retirement, bereavement, re-locating to live with their children or moving into a care home. Digital technology can offer considerable support during these transitions, not least in the form of online networks and communities. This echoes Nominet Trust’s work with young people where we are finding that online peer support networks can make a big difference whether in the transition to secondary school or into work or training. Another key theme identified in the workshop this week was the need to recognise the very differing circumstances, interests and attitudes of people in later life. With increased life expectancy, those we categorise as ‘older’ can span an age group that stretches from 55 to 95 and above. ‘Old age’ can describe people in good or poor health, active or sedentary, lonely or leaders of their communities. With over 40 years of difference between the lower and upper ends of this age-span, we need to avoid one-size-fits-all solutions and instead recognise the individual. Again, there are strong parallels with Nominet Trust’s work at the other end of the age spectrum where we actively support initiatives that recognise the myriad of starting points that young people have, building on their very differing interests and aspirations to create more meaningful and relevant approaches to learning and engagement. It was also striking to hear the groups at the workshop talk about the risks of a deficit model, looking at older people as a problem that needs solving rather than considering the continuing contribution that people in later life can make to society. Older people are a hidden source of innovation whose assets – time, commitment and insight – can play a critical role in the design and delivery of new services. There are already more people over 65 than under 16. By 2025, half the UK’s adult population will be over 50. We need to recognise the opportunity that this ageing demographic presents. Again, this has echoes with young people who are often seen as empty heads that need filling or as unemployed statistics for whom jobs need to be found. Nominet Trust’s Digital Edge programme supports initiatives that use digital technologies to draw out young people’s talents, to create new forms of employment and rewards, and to encourage greater economic and social participation. In the same way, as a society we need to think imaginatively about how we tap into the rich resource offered by people in retirement. In this European Year of Intergenerational Solidarity, it seems fitting to find that young and old are facing very similar issues and that there are strong parallels in how we might address these, using digital technology. We need to step out of our silos and recognise the tremendous opportunities afforded by digital technology to create new communities and networks of support, irrespective of age, location or background. We are developing this programme in the open and hope that many people will contribute and help shape a shared understanding of the opportunities for using digital technology to best support older people. If you have something to contribute, here’s how you can add your voice. Contribute to the open Google doc and help develop some key messages. In addition, we have created an online space at our new social learning network site, kindly created by Dave Briggs. It is open to anyone interested in this field, and we hope that the network may wish to continue after the end of this exploration. View the space and join in here.